While cataloguing the 18th- and 19th- century Russian sculpture in the Tretyakov Gallery collection we naturally came to the oeuvre of the great 18th-century sculptor Fedot Ivanovich Shubin. The museum contains an entire gallery of sculptures by Shubin depicting Russian public figures of the 18th century: portraits of the Count Orlov brothers, military commanders and participants in the palace revolution of 1762; the eminent diplomat and vice-chancellor Prince Alexander Golitsyn; the Urals and Siberian mine- owner Nikita Demidov; the scholar, poet and artist Mikhail Lomonosov, and many others. 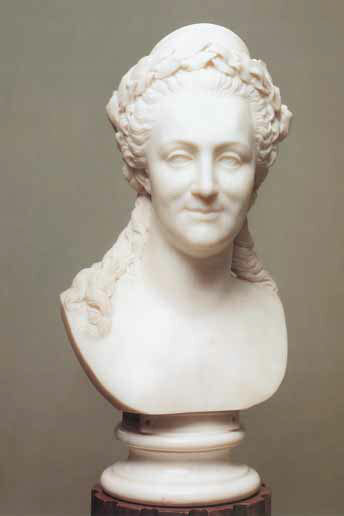 Our research into Shubin's work inevitably sparked interest in the fate of one of his most interesting pieces — a portrait of Catherine II that the gifted young sculptor modelled in 1771. The story begins in the summer of 1767. The 27-year-old Shubin left St. Petersburg on May 23 after graduating with honours from the Academy of Arts and receiving permission to travel to France and Italy on a scholarship. On July 12 he arrived in Paris to study in the atelier of the famous sculptor Jean-Baptiste Pigalle and attend classes at the Academie Royale de Peinture et de Sculpture. 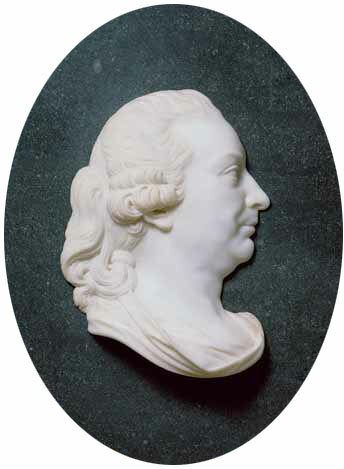 Three years later in November 1770 he arrived in Rome to continue his education. In 1771, during his stay in Rome, Shubin sculpted this bust on a commission from Ivan Ivanovich Shuvalov, the first curator of Moscow University as well as the founder and president of the Imperial Academy of Arts. 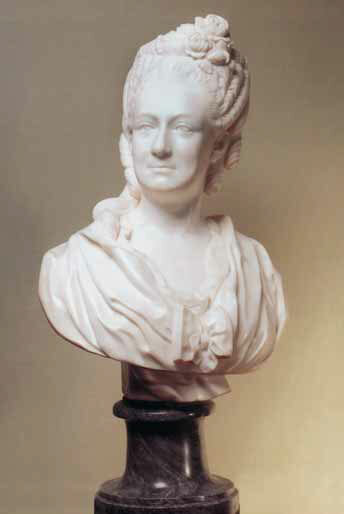 For many years prior to the October Revolution the marble portrait of Catherine II was preserved at the Golitsyns’ Petrovskoye estate outside Moscow (Shuvalov’s sister was the wife of a Prince Golitsyn). After the Revolution all trace of the work was lost. When we completed the catalogue we decided to try and find this outstanding work — what a wonderful achievement it would be if we could track it down! The initiator was Maria Modestovna Kolpakchi, head of the gallery’s cataloguing department. Our search through written material and consultations with specialists failed to elicit the necessary information. We met with representations of the Golitsyns, although admittedly from a different branch of this noble family. Apparently the last owners of Petrovskoye had emigrated from Russia in haste, so it was unlikely they took the heavy marble bust with them. Some family members suspected the former owners had left the estate assuming they would soon return, and therefore hid and possibly buried the sculpture in the grounds of Petrovskoye. This disclosure gave us reason to hope the bust had remained in Russia and we might yet pick up the trail. We appealed to the veteran Moscow collector Fyodor Vishnevsky for help. Possible avenues of exploration were taken into consideration. But as if aware of our efforts and determination to find the missing bust, fate met us halfway. Out of the blue colleagues informed us that Sotheby’s auction rooms had been shown in a recent television programme on sightseeing in London. 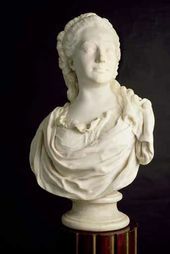 The Soviet television correspondent’s visit coincided with an auction preview that included Shubin’s marble bust of Empress Catherine II. 'No. 134. The property of Mr. Voldemar Verlaine. Correspondence was indeed exchanged between the Arts Committee and the Gallery in 1950 regarding the possible acquisition of works from the Verlaine collection. In a letter to the deputy head of the USSR Council of Ministers Main Arts Committee P.N. Ryabinkin on January 30 1950 the Tretyakov Gallery’s temporary acting director G.V. Zhidkov gives a high evaluation of the Russian art in Verlaine’s possession: “The monuments of Old Russian painting and the sculpture by F.I. Shubin could be of particular interest to the Tretyakov Gallery”. Nonetheless no favourable resolution followed. It is hard to ascertain why the works were never purchased. Probably the owner asked too high a price. The issue of obtaining the sculpture arose again in 1957. 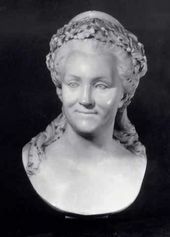 The head of the Tretyakov Gallery sculpture section Valentina Shalimova sent the following reply to an inquiry from the Soviet Culture Ministry’s Fine Arts Museum Department: “The information provided by Mr. Verlaine about the portrait of Catherine II by F.I. Shubin is correct. Acquisition of the work is not only advisable, but absolutely essential”. Most regrettably, again the purchase did not take place for some reason. As we know, for many years central museums affiliated to the State had no funds to buy works of art themselves. Paintings, sculptures and other items were acquired by the Culture Ministry of the USSR at the request of museums. It was only from 1981 that the Tretyakov Gallery had the means for independent purchases of works from private sources. We should also mention yet another evidence of the Gallery’s eagerness to get hold of the sculpture from the Petrovskoye. According to V. Verlain, following instructions of the museum’s trustee Igor Grabar, several years prior to the Bolshevik revolution the Tretyakov Gallery had negotiations with Prince Golitsyn about acquisition of the bust of Catherine II. But nothing came out of it. The owner believed the 10.000 ruble offer was too little. 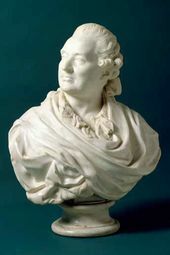 When the bust by the outstanding 18th-century Russian sculptor was auctioned at Sotheby's in 1964 it was acquired by the Victoria and Albert Museum. The famous London museum fully appreciated its value. 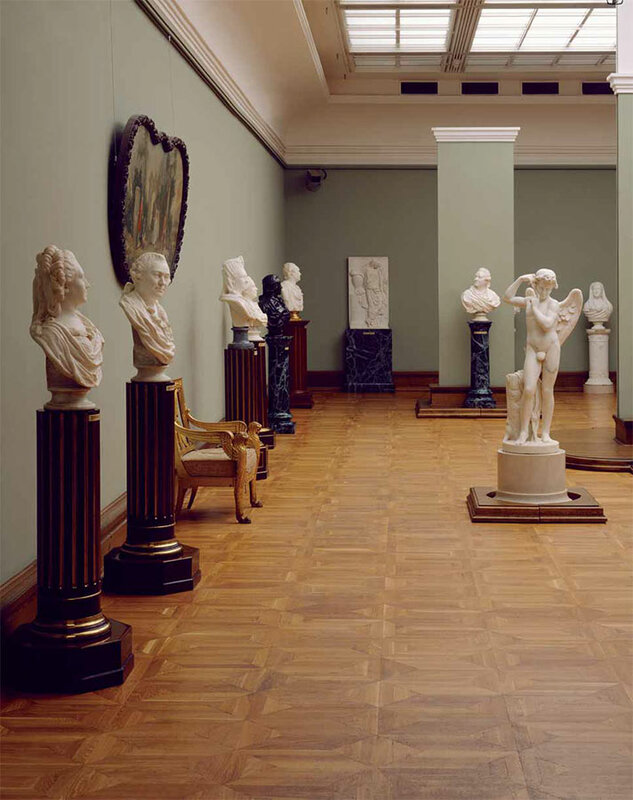 John Pope-Hennessy, the keeper of the museum’s architecture and sculpture department, mentions the bust in his reply to the Tretyakov Gallery secretary Vsevolod Volodarsky on October 13 1964: “...it was bought for the museum at a sale organised by a group of friends in memory of the late Mrs. Syrie Maugham. Since I first saw the magnificent series of Shubin busts in your museum seven or eight years ago it was my dream for this Shubin work to be displayed here. Although the bust is earlier and therefore less accomplished than some of yours, it is nevertheless a superb bust. This is the first Russian sculpture acquired for our col- lection.” In his letter of November 25 1964 Pope-Hennessy expressed his absolute confidence in the authentity of this Shubin. 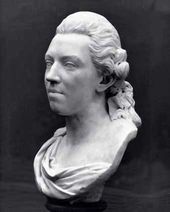 The portrait of the Empress dated 1771 is one of Shubin’s early sculptures, and of course it has none of the subtle psychological characteristics and mastery of the mature works. But this image of a young, laughing Catherine the Great, an attractive woman depicted by a young sculptor, is charged with a delightful vitality and youthful charm. Experts have noted that the Empress was satisfied with the artistic merit and iconography of the portrait. This iconography was used by Shubin again in later portraits, allowing us to observe gradual changes in the image of Catherine II with unusual precision. After its arrival at Petrovskoye the bust stayed there for over a hundred years. There is no reference to it in catalogues of exhibitions including works by Shubin. Neither was it shown at the Tauride Palace in St. Petersburg for Sergei Diaghilev’s famous 1905 portrait exhibition, which featured a large number of paintings and sculptures from museums and many private collections from old country estates. Until the troubled years of the Revolution the bust led an untroubled existence, but we can easily imagine the tragic fate that might have befallen it in the grim years of revolution and civil war. Now, many years after the search was launched, I would again like to express my satisfaction that we finally succeeded in finding the work; that it was not lost in the long years after the Revolution, but is now in the collection of one of the UK’s most important museums. When we began to compile the catalogue and were still unaware of the 1950s correspondence it was hard to believe that the clue to the bust’s whereabouts could be so close at hand. For the authors the supposedly dull and scrupulous task of cataloguing a painting, sculpture or drawing was transformed into an exciting investigation that sometimes seemed more like a detective story. OR GTG [State Tretyakov Gallery Manuscript Department], archive 8.II, unit 75, sheet 30. OR GTG, archive 8.II unit 33, sheet 7. OR GTG, archive 8.II unit 33, sheet 5. OR GTG, archive 8.II, item 75, sheet 18. Op.cit. 8.II, item 75, sheet 40. Op.cit. 8.II, item 75, sheet 44. The portrait was accomplished when Fedot Shubin, a holder of the Academy of Arts fellowship, was in Rome. The portrait was accomplished by Fedot Shubin in Rome, where Fyodor Golitsyn, the future owner of the Petrovskoye estate in the Zvenigorod county of the Moscow region, had been invited by his uncle Ivan Shuvalov.